We’ve been brewing up some exciting features that simplify running end-to-end social media marketing campaigns. Our just released Campaigns module will help you grow your following, boost engagement, win sales, and most importantly–repeat what works. Promote sales, coupons, giveaways, and contests across multiple social networks with ease and from a single platform. No more hassle with coordinating disparate details in different places and piecing together the results from the variety of posts buried in the slew of other posts on your social profiles. Run end-to-end social media campaigns across multiple networks. You’ll start by specifying the goal you’d like to accomplish. 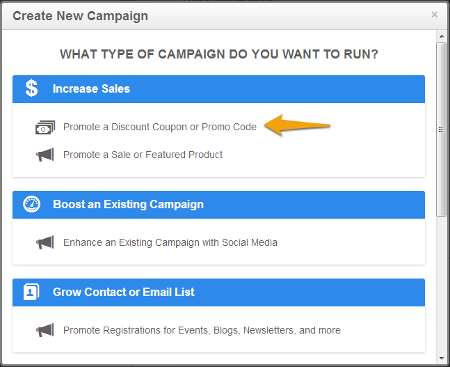 For example, you might want to increase sales by promoting a special coupon code. Get step-by-step guidance to simplify all the elements involved in running a social media campaign. Our streamlined workflow will walk you through 7 steps to address all the considerations you need to keep your campaign aligned and on target with your goals. Depending on the goal you’ve selected, the steps will vary slightly with tactics that are suitable for each specific objective. Schedule a series of posts to ensure you’re promoting your campaign with the repetition and increasing urgency you need to make it successful. To effectively promote your campaign, you can’t just post about it once, forget it, and expect it to perform well. 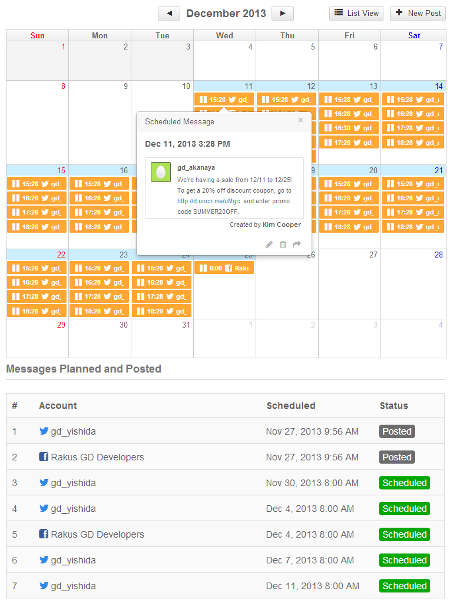 Our campaign post scheduler makes it quick and easy to schedule a series of posts based on your frequency preferences for each social network. 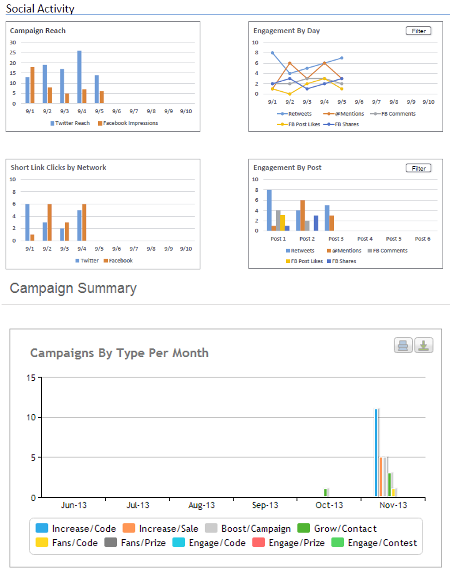 Get campaign-level reporting to know what’s working. Results will aggregate activity from all posts and social networks used to promote each specific campaign. This is where you’ll get to see the fruit of your 7 steps of labor. With this campaign-level view, you’ll be able to compare different campaigns to see which ones are most effective at helping you meet your objectives. Rinse, repeat, reap more goodness. And that’s just the start. There are more juicy features coming soon. Stay tuned in the coming months. Running social media campaigns will only get easier! What campaign ideas are you stirring up? Post your campaign ideas below and we’ll brainstorm with you.